The Hold Steady will release their fourth studio album Heaven Is Whenever in a couple of weeks. The band is set to embark on a two-month tour to support the album. 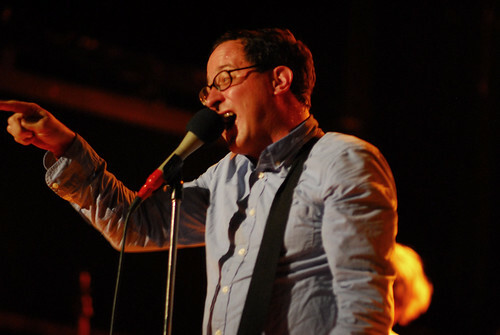 On Saturday night as a tour send-off, the Hold Steady took on the ambitious task of playing two shows in two boroughs on the same night. We sort of figured the late show at Music Hall would be a bit of a messy and drunken affair so we decided to grab a ticket to the early Bowery show. It felt strange entering Bowery Ballroom during daylight hours and setting up the equipment with the assistance of the natural light from the back window. By the time the Hold Steady took the stage at 8:30, the place was packed and all seemed right again. The band roared through an eighty-minute set which featured five of the ten new songs, and a heavy dose of Steady classics — we enjoyed “Chips Ahoy!” and “You Can Make Him Like You” in particular. Craig Finn was his usual animated self, and the addition of a new guitarist added some muscle to the band, while the loss of Franz Nicolay seemed to create a more guitar-heavy stage sound, as the new keyboardist was definitely low in the mix. At the close the set the band returned for two crowd-participation-heavy encores, and although the band still had another show to play, the Bowery performance did not seem perfunctory or rushed and we left quite satisfied. This set was recorded from our standard position at this venue with just the Neumann hypercardioid microphones and the sound quality is excellent. Enjoy! 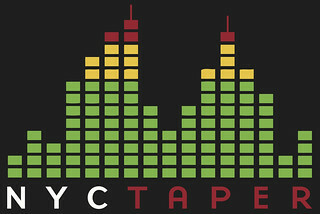 If you email nyctaper for access to this recording, we expect that you will PLEASE SUPPORT The Hold Steady, visit their website, and preorder Heaven is Whenever from the links at their website [HERE].